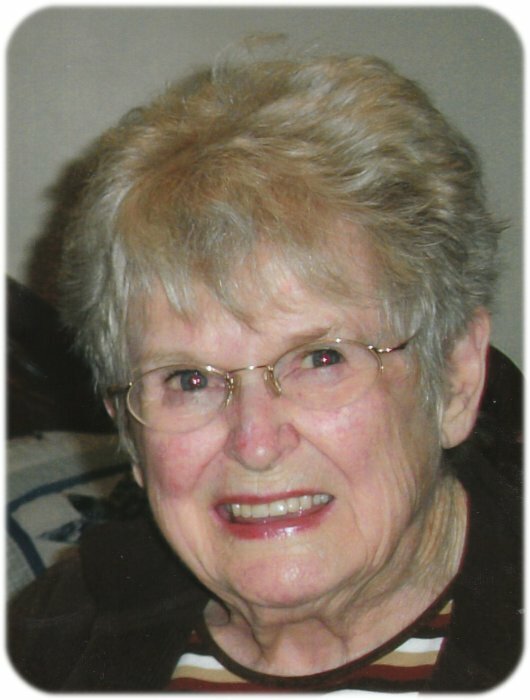 A Celebration of Life for Katherine “Kitty” Farry, age 99, of Albert Lea, will be held at 2:00 p.m. on Saturday, April 13, 2019 at Bayview/Freeborn Funeral Home. Pastor Sean Forde will officiate. Interment will be at St. Theodore Cemetery at a later date. Friends may greet the family one hour prior to the service at the funeral home on Saturday. Online condolences are welcome at www.bayviewfuneral.com. Kitty died Saturday, April 6, 2019 at Hidden Creek. Katherine Lucille Farry was born on March 22, 1920 in Albert Lea, the daughter of Harry and Abby (Dahl) Kelly. She graduated from Albert Lea High School in 1939 and was Homecoming Queen. During WWII, Kitty worked at the State Board of Health on the University of Minnesota campus. She returned to Albert Lea and worked at First National Bank until her marriage to William P. Farry in 1946. The couple moved to California in 1948 to make their home. William was killed in an industrial accident and Kitty returned to Albert Lea with her children to be near family. Kitty was a past president of the Naeve Hospital Auxiliary and volunteered for many organizations. She was an avid reader, enjoyed playing bridge and cooking, and loved spending time with family and friends. Kitty is survived by her daughter, Beth (Dennis) Tostenson; son, Timothy (Julie) Farry; grandchildren, Tara (Chad) Cliff, Brooke (Dan) Barnes, Troy Farry, Cole Ferry; great-grandchildren, Braeden Cliff, Brenna Cliff, Brody Barnes, Bree Barnes; sister, Barbara (F.W.) Marpe; sisters-in-law, Ione Kelly and Anne Kelly; and numerous cousins, nieces, and nephews. Kitty was preceded in death by her parents, Harry and Abby; husband, William; sisters, Ardus (V.R.) Clifford, Irma (Jerome) Nelson; brothers, Harry Kelly and Richard Kelly; brothers-in-law, John Farry and Steve Farry. We can not say enough kind words to her Hidden Creek family and to St. Croix hospice for their loving care her last few weeks.